Driven & Talented? Join Us! We're Worldwide Freight Shipping Experts. 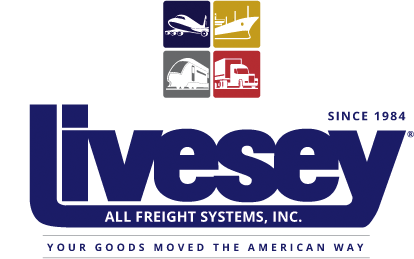 Specializing in custom requirements and personalized service since 1984, Livesey All Freight Systems serves as a liaison between commercial customers and carriers to provide reliable freight shipping, logistics, and supply chain management throughout the United States, Mexico, Canada, and worldwide. As a domestic and International freight logistics design and freight brokerage company serving freight forwarders and commercial customers, Livesey All Freight Systems provides food grade tanker transport service, reefer freight shipping services, frozen and dry FTL truckload transportation service, frozen and dry LTL transport service, intermodal and boxcar shipping service, long haul transport, local cartage service, Kosher food grade tanker and Organic food grade tanker transport, flatbed shipping, oversize loads, International and domestic air freight service, multimodal shipping, and more. Our Promise: Do It Glenn's Way ... Because It works.